Every morning the two #WildGirl doggies and I go out to stroll the garden and see what needs what and just to admire how wonderful plant life is. Well, the girls go out to do some business, I admire. Today I took some close-ups. Quite a few things are showing the fruit of their labor. Imagine, all from a little tiny seed. Isn’t it grand. I still need to get out the camera instructions and see how to get the right focus. Hit and miss. Passionate about purple, but I include lots of bright pink things because that is the color my sister loved the most and I love reminders of her. Artichoke took lots of care and space. I waited a little too long to harvest the ones I did so they were tough to eat, though still delicious. I left the rest to continue blooming. One of the chard planted on the #3Hugelbed last fall and overwintered is going to seed. I have already culled many seeds from the one in the front yard. May cut these. Patrick of One Yard Revolution just published a new video explaining his methods of tending to perennials and self-sowing biennials and annuals. He sometimes lops seed heads off before they are viable and puts them in the compost. Other times he lets them self-sow. Depending on space and how much of it he wants. I’m planning to level this last section of the bed in fall, otherwise I might let it go. It is the only section still with a crown. It is hard to water. Cilantro can’t seem to take this heat so bolts quickly. I may let it just self-sow on the little mound as it is a useful plant to attract beneficial bugs. Tiny flowers of cilantro as a companion plant accommodate beneficial bugs and encourage them to maintain residence in your gardens. As a companion plant, cilantro may be planted throughout the garden in well-placed locations, tucked in near tomato and spinach plants or planted in rows bordering fruits and vegetables. Choose varieties of cilantro which bolt easily, producing flowers quickly. Cilantro is a short-lived flowering herb which may be re-seeded every few weeks to maintain its potent effect. I’ve mentioned before that I occasionally toss kitchen scraps out the back door into a little corner. Every year, without fail, things volunteer. This year watermelon came up, abundantly. I potted most of them, giving many away and transplanting some. I left 4 in place along with a gourd plant that came up last year as well. The image above represents the ones that still haven’t found homes. The Avocado plants also volunteered there last year. I extracted them, potted each and took them in and out of the garage throughout winter. Since they worked so hard to survive, I will nurse them as long as I can. These are all things that increase abundance and help minimize cost inputs. Whatever doesn’t produce a crop is always fodder for compost and chop and drop biomass for improving soil. Until things start producing enough to create sufficient biomass, bagged organic compost, composted mulch and straw have been brought in. Our little town isn’t quite sophisticated enough to think of long term permaculture strategies for helping citizens build food forests. I would like to see our landfill include a chipping station for us all to utilize city and residential trimmings. At this point it all goes to waste. I believe my time is better spent sowing seeds and creating my own internal system than to try to “fight City Hall”. I’m a firm believer that we can develop things outside of the existing system and that it is the best strategy after all. Politics schmolitics. I have sown some buckwheat in the #ScragglyTreeBed. It is another ground cover/soil building strategy. And, I just found that our local feed sells the seed in bulk for $2.50 lb. I had bought a couple packets, no doubt for 2 or 3 dollars each. Silly me. I hope to sow the parkway and start developing it for food planting. Buckwheat grows in pour soil and doesn’t require much water/attention after it germinates. Chop and drop and the plants do the work of “tilling” the soil and help build the microbiome while they’re at it; such hard workers, plants are. Building soil is also about increasing its water-retention capabilities. The pomegranate tree has a thick layer of straw over newspaper and I have watered it sparingly since I realized that they don’t like much water. I may have held back too much. One fruit has cracked. This is the first time I have planted corn. It is fun to watch grow and so attractive. There is both sweet corn and popcorn growing in various places all over #TheCompound. Beets and sweet potatoes are staples in my diet. I have planted lots and lots of slips that were grown on taters in water starting long before spring on a warming tray built with a plank, furring strips and incandescent tube lights. Beets, I need to get out there and plant more. I’m just amazed at how well these four, yes four cantaloupe seedlings have done in this shallow pot with a nasturtium in the middle to boot. Will let them go as long as they look good. It’s always fun and good learning to experiment. I follow Colette of Bealtaine Cottage Ireland and am in awe of what she has done on 3 acres all by herself in 12 years. This is my 13th year here and I’m by myself too. Granted she has rain. We have desert. None the less, she is totally inspiring me to plant, plant, plant, now, now, now. I need to start propagating. Colette just published a video where she spent almost an hour walking around her property describing what she does. It’s well worth viewing, even if in segments. 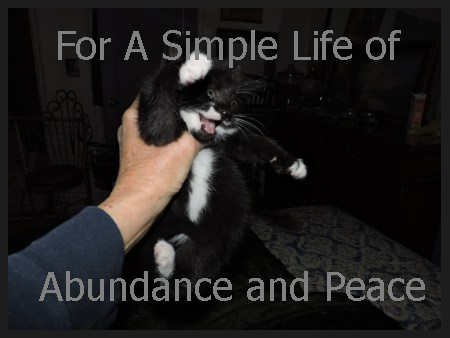 There is another video I put the link on Facebook and ended up with over 10,000 “post reach” of two men who bought a duplex and created a permaculture paradise on 1/10 of an acre. Paradise Lot it is called. This video is not YouTube and I think only available through The Permaculture Research Institute. Here is a link but you will have to go to the site to view it. You won’t be disappointed. There is no end to what we can do to change things if we want to. I want to. What about you?